After a whirlwind first half of the NBA season, it’s time to take a look at which players are the most deserving of yearly awards so far. The Palmerbet Sports Team provides our mid-season NBA MVP, Rookie of the Year, and Defensive Player of the Year. Whilst the reigning MVP was an afterthought for the award earlier in the season, his excellent recent play has made him the $2.20 favourite. Through 40 games played, Harden enjoys outstanding averages of 34.8 points, 8.6 rebounds, and 6.3 assists. A unique ability to create his own offence and pass out of double teams sets Harden apart as an offensive threat in the modern NBA. In Mike D’Antoni, he has arguably the perfect Coach to maximise his vast skillset. His 57 points against Memphis last time out was a season-high, made all the more impressive by injuries to Chris Paul and Clint Capela. Harden’s play has carried a team largely consisting of journeymen to a top 4 spot in the competitive Western Conference. Ironically enough, the main obstacle Harden will have to overcome is the impending return of teammate Chris Paul. Harden has thrived having the ball exclusively in his hands and it will take some adjustment to reintegrate the 9-time All-Star. One thing is for sure though. If Harden can maintain this current level and Houston finish the top 4, no-one is taking this award from him. With Harden’s incredible recent surge, the consistently excellent performances from Giannis Antetokounmpo have been largely ignored. The ‘Greek God’ currently boasts averages of 26.7 points, 12.6 rebounds, and 5.9 assists. His 1.5 blocks and 1.3 steals per game also highlight his value on defence. The leader of statistically the best team in the NBA this season, Giannis finds himself 2ndin MVP odds at $3. With the Bucks only 1.5 games behind Toronto for the Eastern Conference, there is a clear narrative for Giannis to take home this award. Get Milwaukee the #1 seed and outplay Harden the rest of the way and the award might just be his. Heralded by many as the pre-season favourite for the award, Doncic has surpassed all reasonable expectations in his Rookie year. So much so that he finds himself a near unassailable $1.03 favourite at the halfway point. For a 19-year old, Doncic boasts some incredible stats, currently averaging 20.2 points, 5 assists, and 6.7 boards per game. He has also been efficient from the field, currently shooting a solid 37% from deep. On a Mavericks team that has struggled in recent years, the strong play of Doncic has propelled them to a 16-5 home record. As Luka continues to develop and mature, you have to wonder how high his ceiling really is. Unless he gets injured or experiences a serious downtick in form, it’s hard to look past Doncic for the award. $1.03 may not be huge, but it does beat bank interest! If Doncic does end up with an injury, the obvious alternative is #1 overall pick DeAndre Ayton. The Phoenix Center has enjoyed a solid rookie season and currently finds himself 2ndfavourite for the award at $10. Ayton has held up impressively on the interior this season, averaging 16.6 points and 10.7 rebounds. His efficiency has also been promising, shooting 60% from the field and 80% from the line. The Bahamian big man has all the tools to be an elite offensive Center for years to come. At $10, I think he’s the only logical Doncic alternative. In what is probably the most difficult of these awards to predict, Davis currently finds himself the $3.50 favourite. 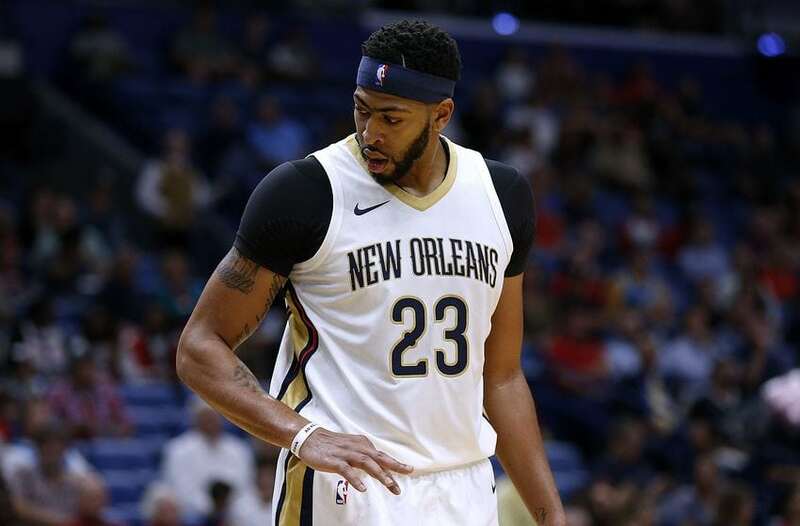 Whilst the Pelicans team defence hasn’t been great this season, none of that is Davis’ fault. His defensive instincts have again been on point, enjoying averages of 2.6 blocks and 1.8 steals per contest. The impact of his 10 defensive rebounds each night cannot be understated either. Having surprisingly never won the award previously, this is the year I think Davis takes it out. With the Pelicans desperately fighting for a playoff spot, you know you can expect his best effort every night. At $3.50, Davis appears to be clearly the best choice on the board. Another household name that is receiving very little fanfare for this award is Thunder Small Forward Paul George. The 6’8” swingman has had hands of glue this season, averaging 2.2 steals per contest. He also guards the biggest opposing perimeter threat each night and has anchored one of the NBA’s best defences. If George keeps up this excellent play and OKC climbs to the #2 seed, there is also a strong narrative in his favour. The only real case against George is that the solid OKC defence can also be attributed to Center Steven Adams. Whilst it is an argument with some merit, Paul still appears solid value at $6 to take this award. Now is really the sweet spot to bet on the NBA Futures markets. Having played half of the season, we now have a strong enough sample of relevant information to base decisions. Yet, with another half of the season there to go, there is strong value in each of these markets.